Coastal Contemporary styling at SOUGHT AFTER Dolphin Key Condos in Indian Shores! Sleek, sophisticated and maintenance-free living DIRECTLY on the Intracoastal Waterway with sweeping, unobstructed water views! LIKE NEW 3 BR, 2 BA, 1560 SF residence built in 2017 with DESIGNER finishes & expansive SUN DRENCHED extended balcony! Smart Technology, HIGH ceilings, Tiled flooring, Crown molding, phone activated & time sensitive blinds, light runners in hall & baths and custom SHIPLAP trim & barn doors! Colossal WATERFRONT Master Suite with a SUMPTUOUS 5 PC bath & dual walk in closets. GENEROUS sized secondary bedrooms – one with a full bath that could be an ENSUITE and both with ample closet space. Entertaining is EFFORTLESS as family and friends easily flow between the Envious Kitchen, Dining area & GREAT ROOM LAYOUT stepping thru the impact-rated triple sliding doors to the 540 SF balcony! Eurostyle Kitchen featuring GRANITE counters, LIGHT WOOD cabinets, TILE backsplash, stainless steel appliances & Shiplap finishes at the breakfast bar & tray ceiling. Inside Full Sized Laundry, 2 assigned parking spaces – one under building and one in front, barn doors, custom closet systems & more! Superb Community amenities to include a Resort like HEATED Pool and Spa, Barbeque gas grills, Private Gazebo, LOVELY promenade along the shoreline, boardwalk to the dock, fire pit, kayak storage, ample guest parking and much more. 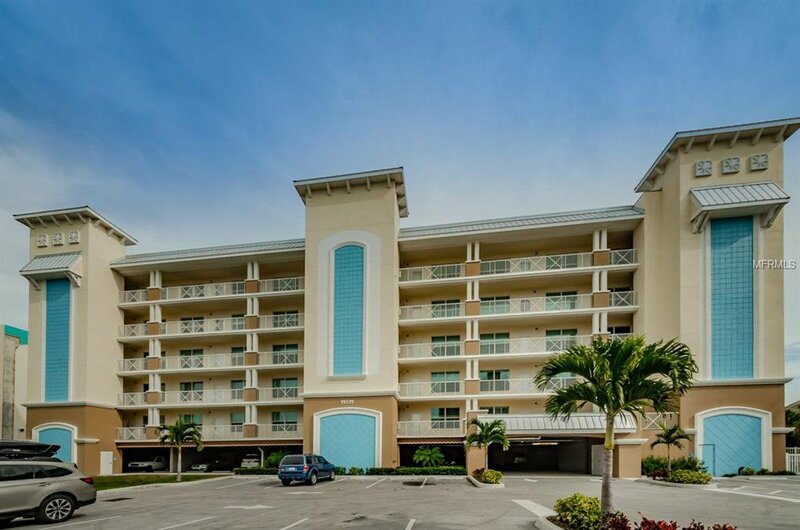 Like New without the wait, Dolphin Key Condos in Indian Shores - be the envy of all! Listing courtesy of COLDWELL BANKER SUN VISTA. Selling Office: ENGEL & VOLKERS BELLEAIR.